offers hope for the best. Manganocalcite heals inner child hurts and past abuse by filling one with a sense of motherly love. 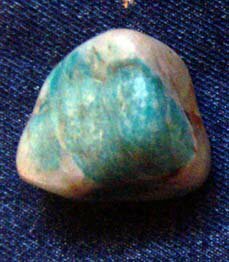 Manganocalcite It is also excellent for channeling and astral travel. It also greatly helps with studying and retaining information learned. Manganocalcite is a nurturing stone that helps us take care of ourselves. It enables us to accept love and have self-love, and act on and with loving behaviors. It is a high powered stress reliever that relieves anxiety, stress and tension. It also removes fears of all kinds and reduces nightmares. 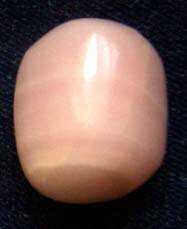 Physically, pink manganocalcite is beneficial for general health and healing, bones, joints, kidney, uterus, and physical heart issues. Manganocalcite is associated with the heart chakra. for one's health in general, decreasing heart problems, benefitting the muscles, helping the nervous system, lessening tooth decay and osteoporosis. While these Crystals didn't prevent my distructive behaviour this afternoon, I feel that having them in my possession may have had something to do with how sick I felt afterwards. Certainly, I feel compelled to work harder on this part of my relationship with my children. I apologise to both of them this after, especially Luey - I know that won't take back my actions, but I hope it is the last time I have to apologise for those actions. I don't know anything about crystals, but they are pretty. Be easy on yourself hey. (((hugs))) If it makes it any better, I think most mothers have moments like that, even if they don't admit to it. I just lost it at Liam because I could hear Sienna screaming behind the bedroom door, and I thought he was locking her in there. Turns it it was *her* who shut the door, and he couldnt move her to open it. Now I feel awful yelling at him :( But yeah, I think its fine for our kids to see we are human-the most important thing is apologising.